In my opinion, you can't have Thanksgiving without cornbread. Really, every meal should have cornbread, but Thanksgiving definitely should. There are two types of cornbread lovers: those who like it a little dry, crumbly, and savory, and those who like it sweet, cakey, and moist. I fall into the latter category because I do love my buttery, sugary carbs. I will admit that the savory cornbread works best for cornbread stuffing and other delicious dishes, but I absolutely must have a big plate of straight-up cornbread on my Thanksgiving table and it must be sweet. Since cornbread originated in simpler times as a cheap and quick dish, this recipe is pretty simple. You have your dry ingredients: flour, sugar, cornmeal, baking soda, and salt. The flour is just standard all-purpose flour, the cornmeal is medium-ground yellow cornmeal (although you can use white cornmeal and/or a coarser grain), and the sugar is plain granulated sugar. The wet ingredients are equally basic: buttermilk (an absolute must), eggs, and lots of butter. You pretty much just whisk everything together and bake it all off, leaving you with moist, sweet cornbread in under 45 minutes. As I said, cornbread is pretty simple; however, there are lots of ways to make it more interesting if eating what basically amounts to cake isn't your thing. You can make cornbread stuffing (perfect for Thanksgiving) or stir stuff into the batter, like cheese, jalapenos, bacon, or anything else you happen to have on hand. You can also cook it in a skillet so you get brown, crispy edges or serve it with some honey butter (mix some softened butter and some honey together and eat it by the spoonful). 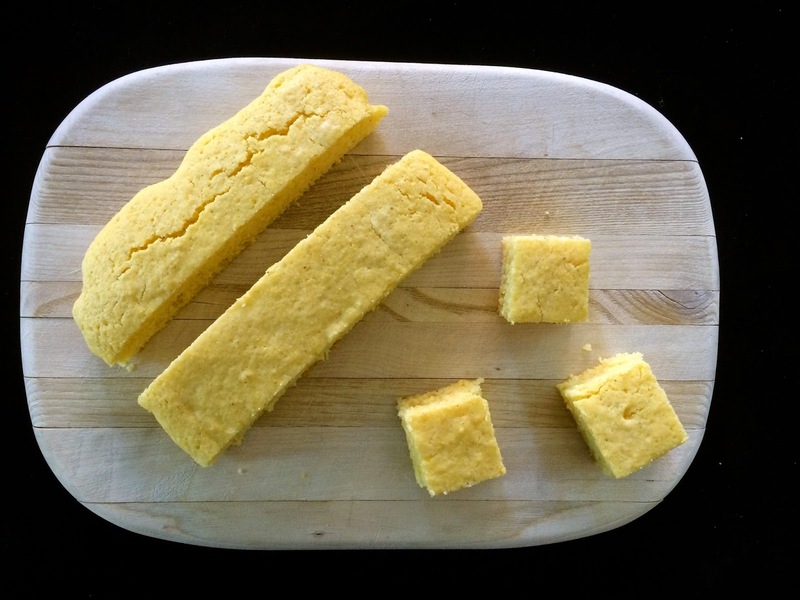 Cornbread's simplicity makes it extremely versatile, and I'm happy to eat it with any meal. Heat oven to 375F. Line a 9x13" pan with parchment and grease. Combine the butter and sugar; add the eggs. Add the buttermilk and baking soda, then fold in the cornmeal, flour, and salt. Pour the batter into the prepared pan and bake for 30 minutes or until cooked through.